Notes receivable - First Dynasty Mines                            200,000. Investment in Global Gold Armenia Limited                               1. Officers' compensation payable                                 $   50,000. Accounts payable and accrued expenses                              81,970. 4,348,114 shares issued and outstanding                4,348. Paid-in capital - dormant period                                3,236,602. Paid-in capital - development stage                             1,493,223. TOTAL LIABILITIES AND STOCKHOLDERS' EQUITY                           $  209,833. Officers' compensation                               -  -  -  -            33,334. 438,334. Accounting and auditing                                5,000. 20,000. 105,948. Transfer agent and securities fees                   -  -  -  -             1,111. 12,446. Proxy costs                                          -  -  -  -         -  -  -  -               26,555. Office expense                                        10,545. 9,558. 93,777. Travel                                               -  -  -  -         - -  -  -                43,142. Interest and royalty income                              279. -  -  -  -               4,841. Gain on sale of interest in Global Gold Armenia      -  -  -  -         -  -  -  -               12,875. December 31, 1994        898,074. $ 89,807. $3,147,693. $(2,907,648.) $ - - - -     $ - - - -      $329,852. Eyre acquisition           1,000,000. 1,000. 849,000. 850,000.
offering                 200,000. 200. - - - -       - - - -       - - - -       421,373. 421,573. December 31, 1995      2,098,074. 2,098. 3,236,602. (2,907,648.) (361,345.) 1,270,373. 1,240,080. Warrants exercised                40. - - - -      - - - -       - - - -       - - - -           100. 100. December 31, 1996      2,098,114. $  2,098. $3,236,602. $(2,907,648.) $(1,029,922.) $1,270,473. $ 571,603. December 31, 1996        2,098,114. $ 2,098. $3,236,602. $(2,907,648.) $(1,029,922.) $1,270,473. 571,603. Issuance of Common Stock     2,250,000       2,250. - - - -        - - - -       - - - -       222,750. 225,000. December 31, 1997        4,348,114. $ 4,348. $3,236,602. $(2,907,648.) $(1,720,669.) $1,493,223. $105,856. March 31, 1998           4,348,114     $ 4,348. $3,236,602. $(2,907,648.) $(1,748,662.) $1,493,223. $  77,863.
connection with the First Dynasty financing. and miscellaneous                       (28,519.) (355,158.) 228,419. Net cash (used) by Investing Activities                     ----               (588,486.) 658,803. Net cash (used) provided by Financing Activities             ----             1,072,000. 421,673. CASH - beginning                                         66,344. 369. 11,352. CASH - end                                              $ 7,697. $ 17,850. $ 7,697. Income taxes paid                                  $   150. $        688. $          1,498.
a Finders Fee in connection with the First Dynasty financing. development stage history from its inception until January 1, 1995.
may result in various adverse ramifications. sell warrants to purchase the Company's common stock by U.S.
Republic of Armenia (Note 7). NOTE 6:    PATTERSON, BELKNAP, WEBB & TYLER, L.L.P. law firm of Vedder, Price, Kaufman & Kammholz. written-off as of December 1997.
from the Government may materially and adversely affect the Company. share of joint venture profits. although there can be no assurance thereof. requirement was deemed satisfied by the parties. percentage of recovery of metals per gram per tonne is 70% or more. 66.67% if the recovery rate declines to 50% or less. ceremony on February 25, 1998.
rights to mining production or processing in Georgia. standards have been adapted in the joint venture agreement. property resulting in a loss of $135,723. filings located after an SBA-guaranteed loan was made to Jet-Line. Jet-Line owns certain valuable assets. and further demand letters on April 2, 1997 and November 10, 1997.
has revised its allowance for doubtful accounts to $300,000. Drury J. Gallagher                          $ 50,000. Legal - General Counsel                    $ 12,596. Legal - PBW&T (see Note 6)                   29,797.
repaid in full together with interest thereon. Management presently consists of Mr. Drury J. Gallagher and Mr.
related financing activities, and is currently President. Messrs.
defined. The Board may award bonuses up to 50% of base compensation. shares of its common stock to each of Messrs. Gallagher and Garrison. 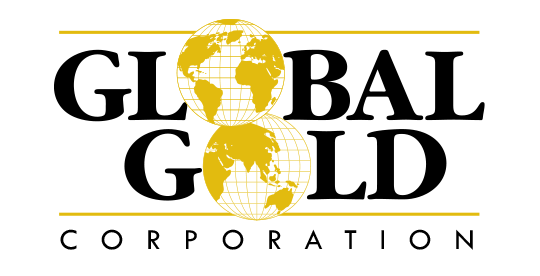 Global Gold Armenia Limited ("GGA") agreed to retain Robert A.
cause which, in such latter case, would require GGA to pay Mr.
consider future structural changes, if necessary. NOTE 19:   FIRST DYNASTY MINES LTD.
with respect to the Armenian mining projects (the "FDM Agreement"). the capital stock of GGA. and outstanding shares of capital stock of GGA. additional $675,000 to cover the balance of the oustanding payables. $4,800, resulting in a profit of $12,875. March 31, 1998 was not available at the filing date of this report. Agreement will be passed or, if so, when such decree will be passed. no assurance of such result. approximated fair market value as determined by management. project in Armenia, a member of the Commonwealth of Independent States. 10-KSB filed by the Company for the period ended December 31, 1997.
is $4,500,000, which was later increased to up to $10,000,000. (c)  FINANCING OF THE ARMENIAN MINING PROJECT - FIRST DYNASTY MINES LTD.
Company and GGA reached an agreement with First Dynasty Mines Ltd.
the capital stock of GGA (which occurred in October 1997). capital stock of GGA at First Dynasty's option. the issued and outstanding shares of capital stock of GGA. for 66% of the common shares. 18-month period) exceed five million ounces. having equity jurisdiction over the parties. and the balance of $200,000 to be paid on June 30, 1998. Randolph, the President of First Dynasty, and Drury J.
participate in the financing described in such provision). terms and conditions of the stockholders agreement. York (instead of Cayman Islands) law. were disbursed according to the agreement. cancellation provisions agreed to by First Dynasty. at the filing date of this report. report with respect to the reserves at such mines. (C)   JET-LINE ENVIRONMENTAL SERVICES, INC.
revocation and fine in the Massachusetts state courts unsuccessfully. closed and assumed the environmental clean-up responsibility at the plant. the same amount for the same period last year. $15,000, and (d)reduction in rent by 50% per month to $1,500 per month. be exercised and, accordingly, there can be no assurance of such result. financings will be provided or, if so, on terms acceptable to the Company. obligations through December 31, 1998.
by paying him such sum plus interest thereon of $14,058.49 on such date. any financing of the Company's future operations. arising out of the alleged fraud committed by the defendants. parties agreed to a scheduling order in part. no assurance as to the outcome thereof. Financial Statement as at and for the period ended March 31, 1998.